Fitness plans, guide books, worksheets, and quizzes. Free 4-week fitness program that takes a holistic approach to fitness, infusing spirituality into exercise and nutrition. Thank you for signing up! Check your inbox to get started. Discover your mind-body type based on the three doshas: Vata, Pitta, and Kapha. Each of the mind-body types are related to our physical, mental, and emotional characteristics. 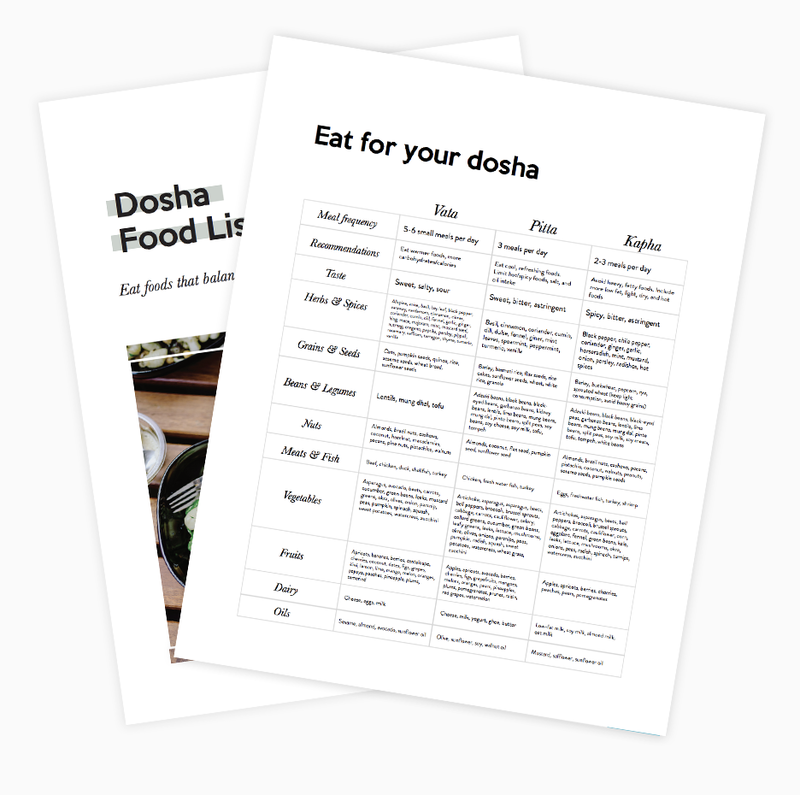 The balance of the doshas influence our physiology, metabolism, digestion, personality, exercise needs, and more. Find out your dominant dosha and secondary dosha, to understand the true nature of yourself and how to maintain mind-body balance. 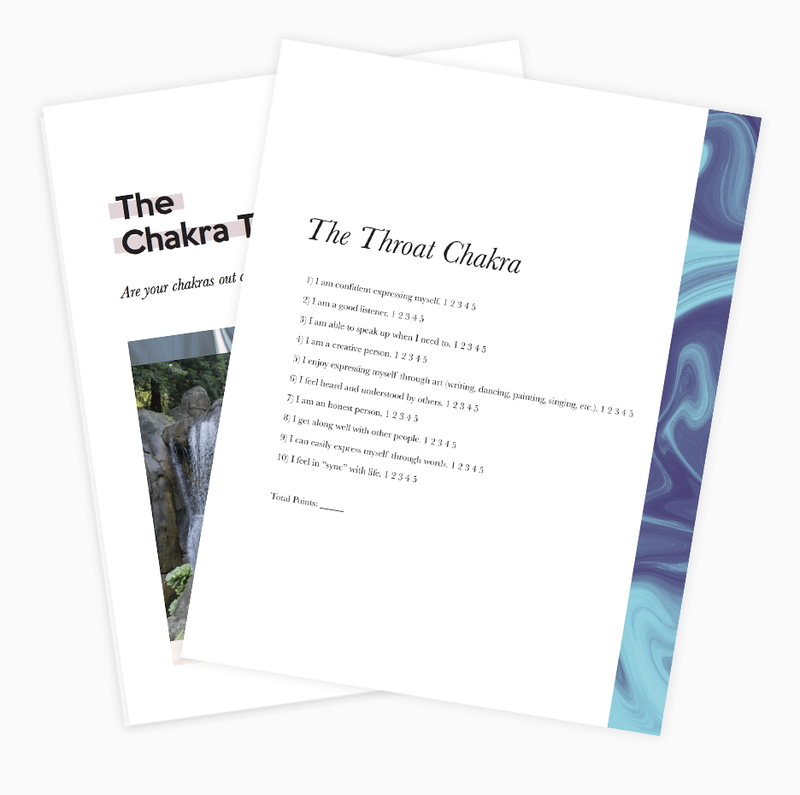 Are your chakras in alignment? The chakras are the seven wheel-like energy centers existing in the subtle body that integrate our mind, body, and soul. They affect all aspects of our being, including our relationships, work, creativity, sexuality, communication, and spiritual connection. The food you eat changes not only your physical body, but your mind as well. Track your meals and practice mindful eating with this journal. Overview of the Ayurvedic diet and subtle energies of food. Overview of modern nutritional science and how the body uses energy from food. Tips for practicing mindful eating. Track calories and macros for each meal. Reflect on how your meals make you feel physically and mentally after eating. The Ayurvedic diet is all about eating foods that balance your mind-body type. Get a quick cheatsheet of recommended foods for your dosha. Thank you for signing up! Check your email to get started. 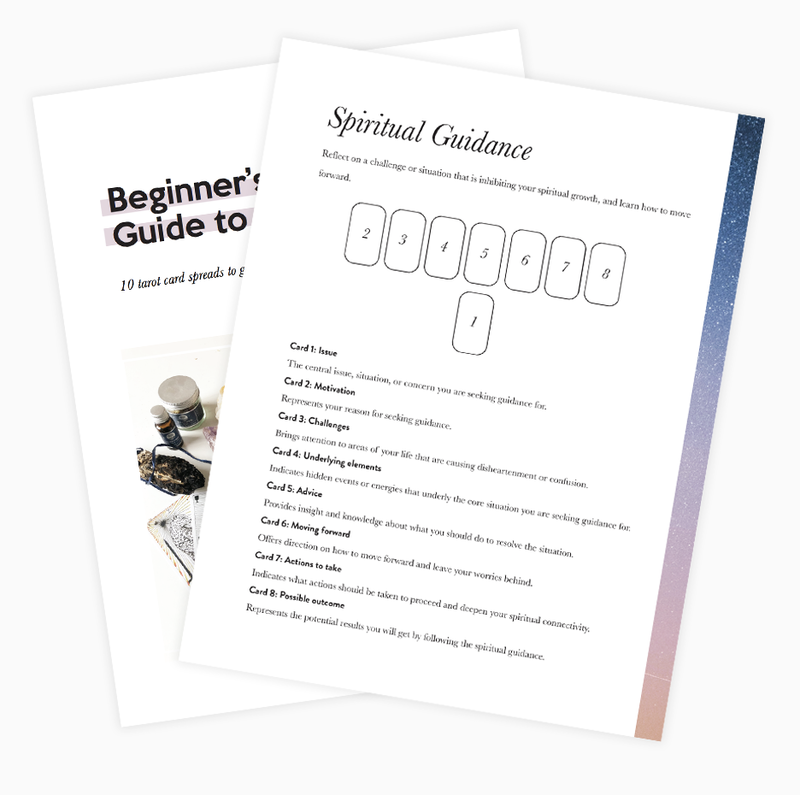 Tarot cards can help you uncover your inner truth, understand how your experiences have impacted you on a deeper level, and surface answers to questions you may be asking. Learn how to read tarot cards and get started with tarot spreads.